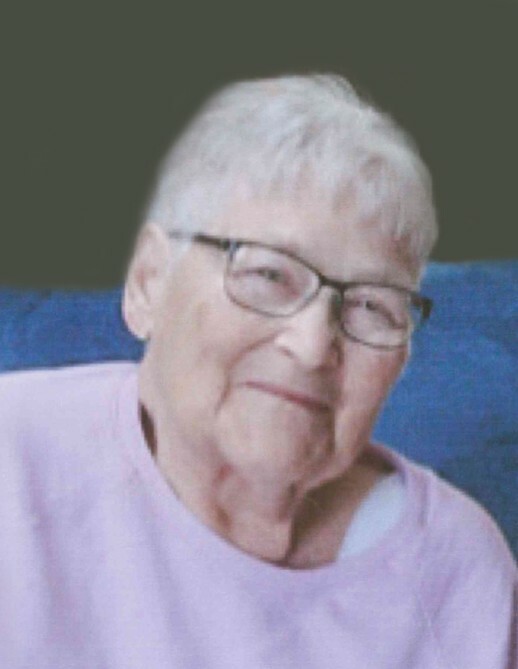 Grace Imogene Gibbs, 82, of Dundee, Iowa, passed away on Tuesday, January 22, 2019, at the Good Neighbor Home in Manchester. She was born on December 14, 1936, in Jesup, the daughter of Corydon and Grace (Clue) Brown. Grace was raised and educated in Jesup. Her father passed away at an early age and Grace stayed home to help raise her younger siblings. On October 29, 1960, Grace was united in marriage to Donald Gibbs in the Methodist parsonage in Manchester. One son, Edward, was born to this union. Grace worked for over 32 years at Ertls in Dyersville. Grace was a longtime member of St. John Lutheran Church in Dundee. She loved to travel and visited many places. Together Grace and Don enjoyed fishing and for many years went to Waterville, Minnesota, and Chetak, Wisconsin. Grace loved music and enjoyed singing with the Sunshine Singers. She also enjoyed playing cards, especially with her card club friends. Survivors include her husband, Donald Gibbs of Dundee; her son, Edward Gibbs of Dundee; three sisters, Ada Hunt of Katy, Texas, Dorothy Crow of Tomball, Texas, and Patty (Larry) Dolph of Des Moines. Grace was preceded in death by her parents; four brothers, Lyle, Roy, Bill, and Duane Brown; and three sisters, Clara Fowler, Pearl Winning, and Betty Stupp.